Wish you were a wizard? 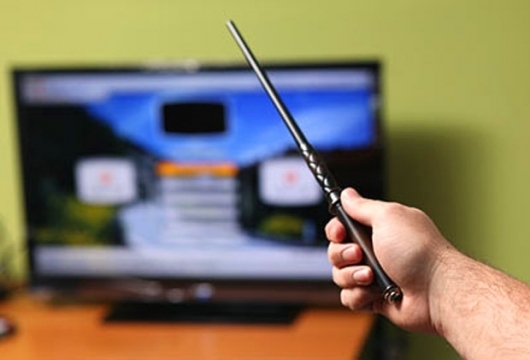 Well, you probably won’t be able to fly on a broomstick, but you can “magically” turn on electronics with the Kymera Magic Wand Remote Control. Use 13 hand gestures to control functions on any electronics that use a regular infra-red remote . So amaze your Muggle friends, and say “TV-onicus” and flip your wrist to turn on “the tele.” Watch the video demo here.